The Departments of Homeland Security and Health and Human Services have proposed a rule that would allow them to indefinitely keep children caught crossing the border illegally with their parents in family detention centers, circumventing the Flores Settlement, a legal ruling that prevents minors from being held in detention longer than 20 days. Why it matters: The Flores Settlement has been a key obstacle to the Trump administration's efforts to crack down on immigrant families illegally crossing the border, which reached a flash point earlier this year with the administration's "zero tolerance" family separation policy. The administration will likely face new legal challenges over the rule, especially given federal Judge Dolly Gee has already declined to change her Flores ruling at President Trump's request. Under the settlement, families are kept in detention together up to the 20-day limit — after which immigration authorities must complete the asylum or removal process or release the family into the U.S. until their immigration court hearings. 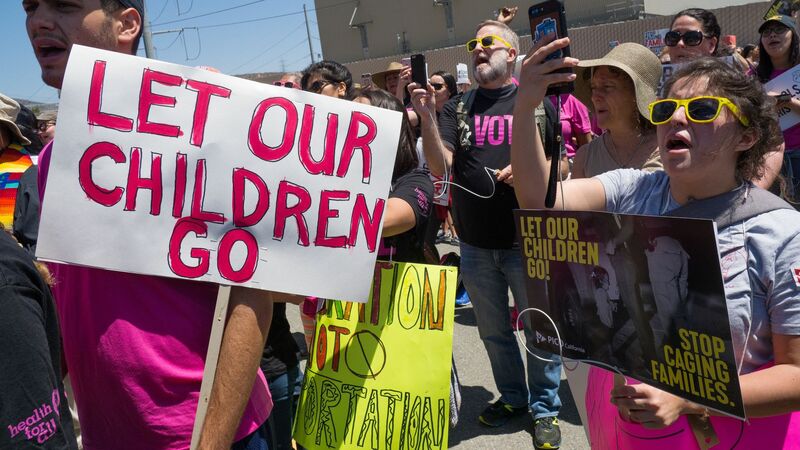 "Today, legal loopholes significantly hinder the department’s ability to appropriately detain and promptly remove family units that have no legal basis to remain in the country. This rule addresses one of the primary pull factors for illegal immigration and allows the federal government to enforce immigration laws as passed by Congress." Where the 2,600+ separated migrant children are now. How Trump can separate migrant families. Reality check: The facts behind the “missing” immigrant children.